Everything you need to know about Saundersfoot Bay is right here.If you are visiting Saundersfoot Bay for holidays or even for just a few hours this site will help you find accommodation in Saundersfoot Bay , activities, restaurants, shopping and more about the Saundersfoot Bay Surrounding Area >>. You'll be spoilt for choice when it comes to deciding where to stay in Saundersfoot Bay. 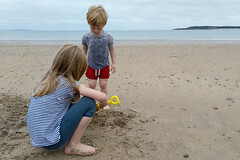 with top quality caravan and camping sites, welcoming B&B's, Guest houses, charming cottages, , there's something in Saundersfoot Bay to suit everyone.